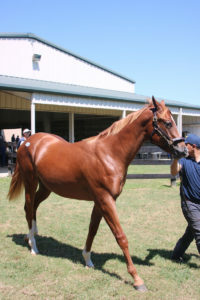 A Louisiana-bred filly by Songandaprayer topped the yearling session of Monday’s Texas Summer Yearling and Mixed Sale at Lone Star Park. Held jointly by the Texas Thoroughbred Association and the track, the auction reported 44 of 82 yearlings sold for a total of $414,300. The median jumped 72.2 percent to $7,750 from last year’s mark of $4,500, and the average dropped from $11,556 to $9,415 this year. The buy-back rate this year was 46.3 percent. Last year the yearling session grossed $681,800 with 59 of 90 sold. Susan Naylor signed the ticket on the sale-topper with a price of $30,000 on hip 83. 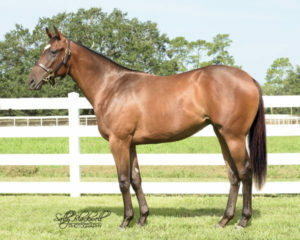 The March filly from the consignment of Clear Creek Stud, agent, is out of the stakes-placed Lion Heart mare Those Lion Eyes, whose one foal to race is a winner. In the mixed session this year, 18 of 24 head sold for $93,100 with an average of $5,172 and a median of $2,350. Those numbers compared favorably to last year’s mixed session that grossed $30,000 with 13 of 36 head sold for an average of $2,357 and median of $1,400. The highest-priced horse in the mixed session was a weanling filly by Too Much Bling who sold for $19,000 to Naylor from the consignment of Benchmark Training Center, agent for the Estate of Ed Few. A good portion of the mixed session was composed of horses from Few, one of the state’s leading breeders and owners who passed away in April. 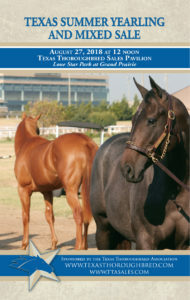 The Texas 2-Year-Olds in Training Sale is next up on the sale calendar at Lone Star and will be held April 9. For hip-by-hip results, click here for the yearling results or click here for the mixed results. Or for complete results in printable PDF form, click here. Effective immediately, please do not fax any sale paperwork to the Texas Thoroughbred Association office in Austin as TTA staff is en route to the sale at Lone Star Park. 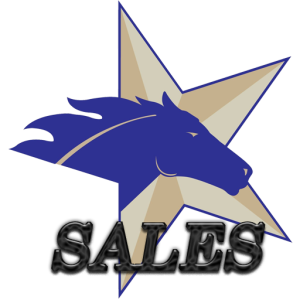 From now through sale day, paperwork can be faxed to the sale office at 972-237-5257. 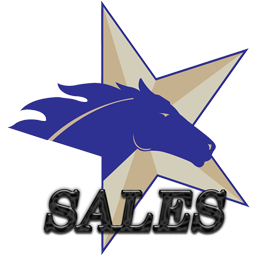 The sale office can be reached by phone on the day of the sale at 972-237-4886 or contact Sale Director Tim Boyce at 972-523-0332. 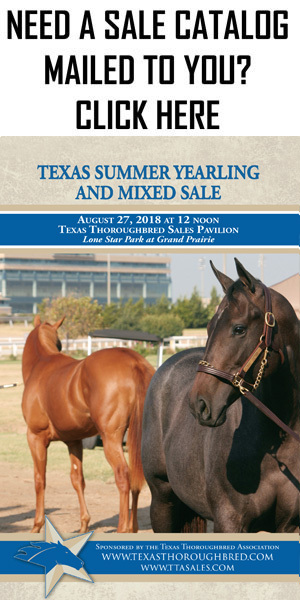 A pair of Texas-bred yearlings by leading Texas stallion Too Much Bling topped Monday’s Texas Summer Yearling and Mixed Sale at Lone Star Park with bids of $100,000 apiece. 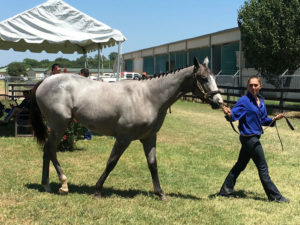 The auction was run by the Texas Thoroughbred Association for the second year after taking over operations from Fasig-Tipton. The yearling portion of the auction posted solid gains compared to last year, as 59 of 90 head sold for $681,800 with an average of $11,556 and a median of $4,500. That total is up 11.4 percent from last year’s $611,800, while the average jumped 19 percent from $9,711 and the median increased 80 percent from $2,500. The buy-back rate this year was 34.4 percent compared to 31.5 percent last year. Hip 14, a colt named Lullaby Bling from the consignment of Benchmark Training Center, agent, sold to Jackson Durham shortly before the solar eclipse passed through the Dallas-Fort Worth area with about 75-percent coverage. The January 22 foal is a full brother to Bling on the Music, who topped the 2016 Texas 2-Year-Olds in Training Sale at $95,000 and has since earned $153,082 with two stakes wins and a Grade 2 placing. 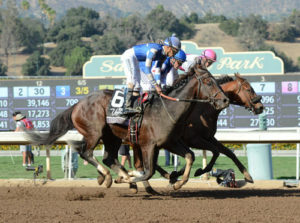 Lullaby Bling is out of the winning Action This Day mare Soft Music. The second $100,000 Too Much Bling yearling, a filly consigned by Asmussen Horse Center, agent, and prepped by Brant Schafer of Elgin, Texas, sold to Susan Moulton as hip 62 not long after the eclipse. The March 19 foal is out of the unraced General Meeting mare General Reunion, who produced a full brother named Nublado Bling, a stakes winner of more than $140,000. The mixed session totaled $33,000 with 14 of 36 sold for an average of $2,357 and median of $1,400. Last year’s mixed session, which featured a strong consignment from the closing of Lane’s End Texas, brought in a total of $167,700 with 28 of 30 sold for an average of $5,989 and median of $2,700. “The Lane’s End Texas consignment gave us a big boost for the mixed session last year, and we just didn’t have that same firepower this year, but overall I think it was still a good sale,” said Boyce. The high seller from the mixed session was hip 212, a Supreme Cat mare in foal to Stonesider who sold for $11,000 to Jerry Durant from Eureka Thoroughbred Farm, agent. For hip-by-hip results, click here to view the interactive catalog. Or to view PDF results, click here for the yearling session and click here for the mixed session results. Prior to the $50,000 Assault Stakes on July 22 at Lone Star Park, Texas Chrome had already put himself in an elite class among Texas-breds with a pair of graded stakes wins and five other graded stakes placings. But after prevailing by 1 ¼ lengths in the Assault, he joined Groovy and become just the second Texas-bred to ever earn $1 million. Ridden by Richard Eramia for trainer Allen Milligan owner Danny Keene’s Keene Thoroughbreds LLC, Texas Chrome improved his record to 20-9-4-3 with earnings of $1,020,762. Named the 2015 Texas Champion 2-Year-Old Colt/Gelding and 2016 Texas Horse of the Year and Champion 3-Year-Old/Gelding, Texas Chrome has raced at 10 different racetracks. 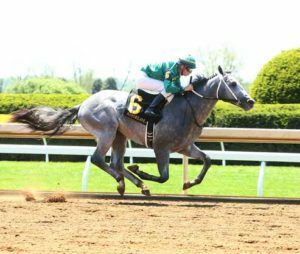 He has won two Grade 3 stakes, the Super Derby at Louisiana Downs and Oklahoma Derby at Remington Park, and has placed in five other graded stakes. His stakes victories also include the Texas Thoroughbred Sales Futurity and a division of the Clarence Scharbauer Jr. Texas Stallion Stakes at Lone Star. 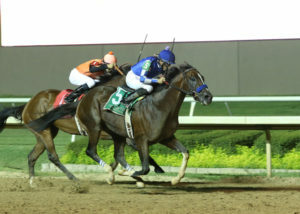 In his most recent start he finished second in the Grade 3 Prairie Meadows Cornhusker Handicap.